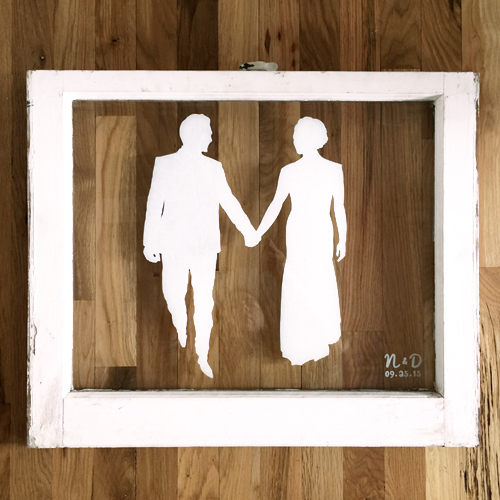 Each piece is custom made to celebrate the couple. 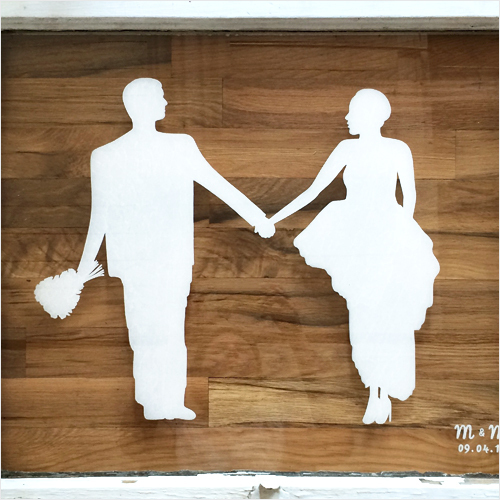 From wedding silhouettes to portraits of the venue, every detail is intricately painted onto glass. Commemorating the day through lettering is another option to highlight names, song lyrics or any sentimental words from their day.